When talking about gaming in stereo 3D mode there are pretty much three driver solutions that are available at the moment, allowing the conversion of 3D games into stereoscopic 3D ones and these are Nvidia’s 3D Vision, DDD’s TriDef 3D and the iZ3D Driver. 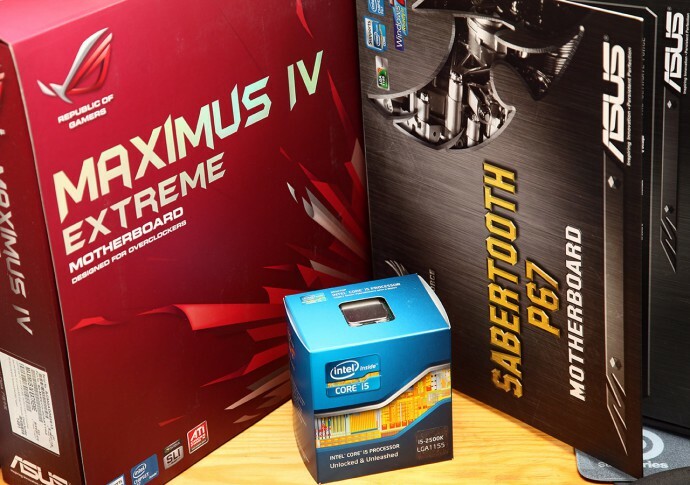 All of these solutions rely on predefined profiles on per application basis in order to provide good default settings, so that when the user runs a game he can start enjoying it immediately in stereo 3D mode, without having to do some tweaking and adjustment. Making it user friendly is required in order to have normal gamers playing in stereo 3D mode and not just enthusiasts, and the solution with the profiles seems as a great idea to ensure that. There is however a drawback to this approach that is common to all three solutions, you actually need the developer to release frequent updates with new profiles for game titles before or at the exact time new games are released. And we well know that this is not an easy task, because you have to have professionals playing games and creating these profiles, but how is each of these companies doing with that task? One approach to kind of ease the task is to also allow the users to create their own profiles for games, but that is not working that well and is not always possible or easy, especially for novice users… sharing these user-generated profiles among users can also be problem. Nvidia is the most frequent with updates for their stereoscopic 3D drivers, but then again it is the biggest company among the three and has a lot of resources devoted to improving their 3D Vision technology. Although being limited only to Nvidia GPUs this technology works very well, because the company also develops their own video cards and drivers that are optimized to all work together. But even Nvidia is late at times with the release of profiles for new games and this is something that gamers playing in stereo 3D mode are not happy about. The latest WHQL driver Nvidia has released was from January 18th, but the latest beta driver is from March 2nd and usually there are more releases in between. The user options for generating profiles are very limited at the moment and even the sharing between users is harder as the settings are saved in the registry, and in different places for 32-bit and 64-bit operating systems, so Nvidia needs to improve things here a bit as well to engage the big 3D Vision user community to actually help. Still Nvidia’s solution is probably the most user friendly and easy to use by people totally new to stereo 3D gaming or stereoscopic 3D multimedia on a PC, unless of course you try to do something that is not officially supported. DDD is on the second place in terms of frequent updates, although their latest TriDef 3D release is from last year and more specifically December 23rd which is already about two months and a half ago. The TriDef 3D software currently has less game profiles available and there are even some user generated game profiles included in the official release. The profiles here are a bit more advanced with more user controllable options, so a good profile created by the users and shared in a dedicated official forum can be included in the next release. The TriDef 3D also has some extra features such as auto focus support, the virtual 3D mode etc. The problem here however is that the driver does not support that many 3D output options, although it is a universal driver, meaning that it is not tied to a specific brand of GPUs, like in the case with 3D Vision for example, but instead works on all graphic processors… with higher performance hit at times. So the thing that is probably holding back DDD from getting more popular is their smaller community and the fact that being more advanced and with more options it is more confusing for the novice users. iZ3D is the least active in terms of driver updates and that is starting to be a problem, especially after the company stopped producing their own 3D monitor hardware with the idea of focusing more on the software, but that apparently is not yet happening, or we are not seeing it materialized at least. The latest driver released by iZ3D was made available on October 23rd and that is four and a half months ago with not even a newer beta version getting released. Before releasing their last driver, the time between the previous official releases was also quite long, but at least there were a few beta releases meanwhile. At the same time the also universal in terms of GPU support driver from iZ3D is also quite advanced with more control for user generated profiles and probably a bigger and more enthusiastic community of users, although not as big as with 3D Vision. The iZ3D driver is also the most flexible one in terms of supported different stereoscopic 3D output methods of all three, so it is the preferred solution for enthusiasts going the 3D DIY way and these are usually the most advanced users. However they probably support the least number of games with available profiles and the lack of more frequent updates does not help at all to keep users happy, but this is also probably why the community is more active around this solution. However for a bit over a month now there has actually been a regression in that since the latest update version 553292 that as been out for over a month already actually brought back some issues when the you play the game in stereo 3D mode. Mainly the issue of the crosshair being rendered in 2D mode again, although with earlier patches it was working perfectly fine being rendered in stereo 3D mode. And since this is a quite serious problem for a lot of users playing in stereo 3D mode (and something you will not expect from a 3D Vision Ready title), the fact that it is not being addressed with a proper patch in a timely manner is actually very strange. The good thing is that there is a working workaround that fixes the problem by replacing one of the game files with a version from a previous patch that brings back the crosshair rendering in stereo 3D mode. 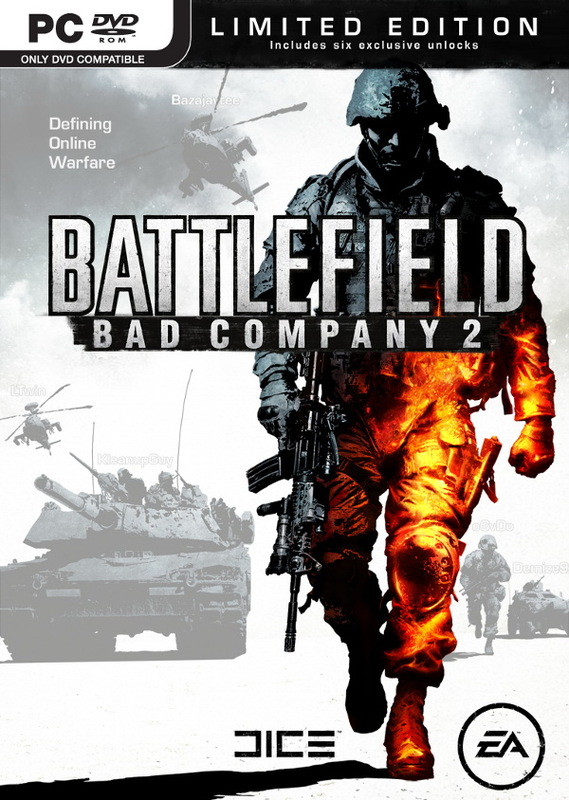 You need to download the file package.mft from the link below and replace the currently present file in the folder where you installed the game under \Dist\win32 for example if you installed the game in the default folder it should be C:\Program Files (x86)\Battlefield Bad Company 2\Dist\win32) and that is it, you are ready to go. The file is from the game patch version 529843 and you can thank the user metti from the Nvidia forums for discovering this fix and sharing it with us, so you should try it out now while waiting for the game developers to address the issue with a new patch. Have in mind that this is for single player mode, and although it will work in multiplayer too it may create some issues in multiplayer mode!